Say it, feel it, wear it! 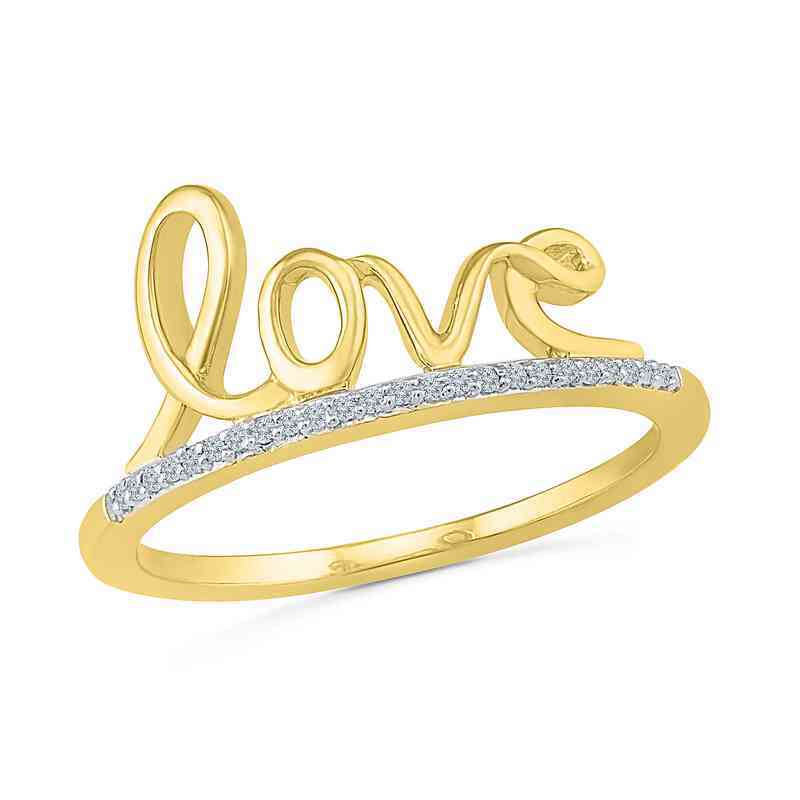 The word "love" loops on top of this ring, crafted in sterling silver with 14kt yellow gold plating, all buffed to a lustrous shine. Diamond accents on the band give this fashionable ring an extra shimmer. Manufacturer direct from a trusted supplier.